I have lots of other stuff going on. We are toying with the idea of moving. That means meeting with realtors, internet research, driving neighborhoods, conversations with banks, going to open houses, etc. It's been both exciting to think about the possibilities and depressing to come to grips with the realities. Then there are the adoptions...I'm expending a lot of time and energy and all I'm really doing is spinning my wheels. Besides being obsessed with reading adoption blogs and forums (and checking them an embarrassing number of times a day), I've taken up working on the blog for one of my adoption agencies where I've posted 6 days a week for the last four weeks. Life is a juggling act, especially for mamas. But I've been letting some of the balls drop. Since this blog is a photo album and journal for my family I would really like to do a Christmas recap (how late is too late? ), more posts about the boys (especially some Who's Who? posts) and photos of me and the boys (otherwise known as 52 weeks or Shoot Me). Sense I'm so far behind on Christmas recap, maybe this isn't too late for a New Year's resolution...to start carrying my camera more and documenting our life through blogging a photography again. Meanwhile, in the several days it took me to actually finish this post, we've moved up another spot! Here's to the great juggling act and moms everywhere! I did a Who's Who post yesterday in your honor, actually -- you're in my heart, sweetie, no matter how often you post, and no matter whether or not most of my posts lately wouldn't be up your alley -- still love you! 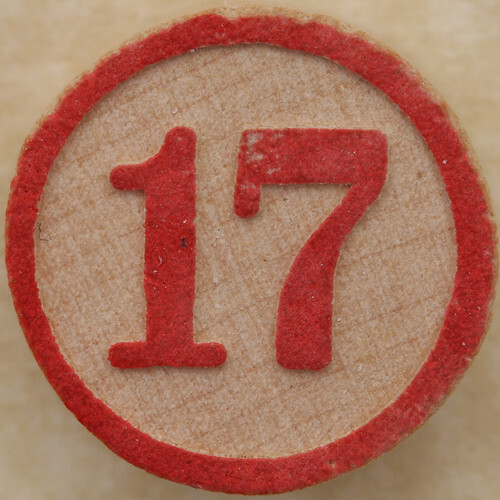 17!!!! Awesome... even if you post every single number with just a picture of the number, no words -- I'll still check in and get very excited to see the numbers change!! It happens to all of us from time to time. I still haven't managed to blog my post holiday update. Oops. We were all ill.
Glad to see (read) you again. Keep us posted on all the possible changes. Your priority is your family as it should be. It's totally understandable!!!! Motherhood is a juggling act - you do what is best for you and your family. I enjoy hearing from you but please don't feel guilty about not blogging. Oh I totally feel you on that!! Life is absolutely a juggling act. And sometimes we are pulled in too many directions to form coherent thoughts and get them written down. Yeah, I know the feeling all too well. I have three kids, am no longer adopting but still feel very connected to the community and so read a billion adoption blogs. I have the blogroll so I am constantly searching for new Ethiopian adoption blogs. Plus, of course I have to take the kids places, we homeschool so I have to teach my big kid. My middle one is potty training and the little one is "just" a baby so she has her own set of needs. Yup. life is a juggling act but hey we sure love it don't we? Great pictures...yes, mama's are always juggling something. Wow 17! That is awesome. so so soon!